The release date has been set! George R.R. 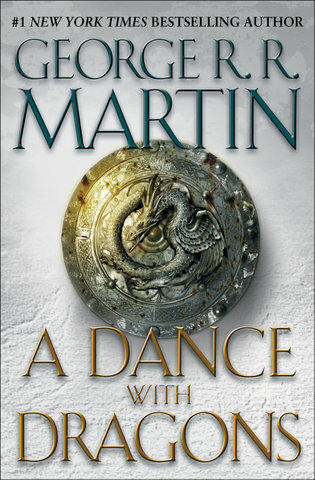 Martin has confirmed that A Dance With Dragons will be in stores on July 12, 2011! There’s an official cover! I’m doing a happy dance! In three months, I will be ordering HBO. Words cannot express how excited I am about A Game of Thrones coming to HBO. I get chills every time I see a new teaser trailer. It looks like they did a great job capturing the mood of the books, and the cast is fantastic. Sean Bean, Peter Dinklage, Mark Addy, & Lena Headey? Oh hell yeah. I don’t have HBO, but the week before A Game of Thrones starts, I’m ordering it. A Song of Ice & Fire is by far my favorite book series. 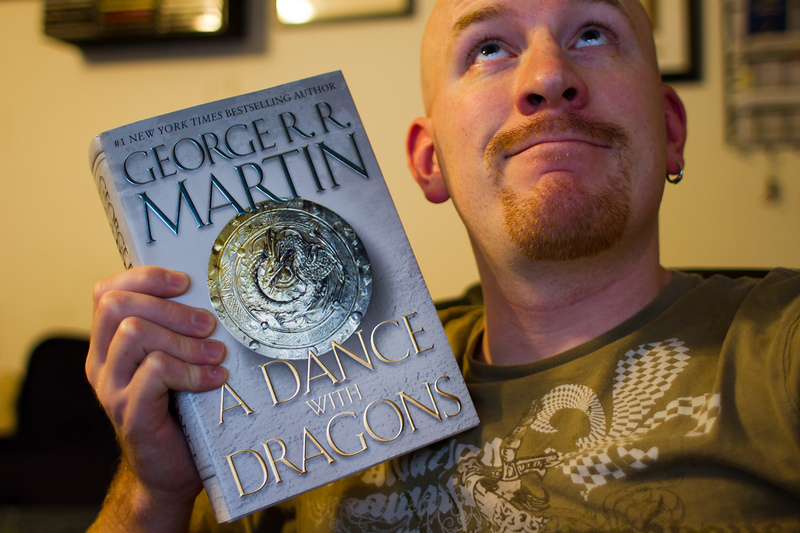 A Game of Thrones was the book that got me back into reading after high school, where I hadn’t done much reading for pleasure outside of fanfiction. But it’s been torturous. I started reading the books in early 2002 and read the first three back-to-back-to-back. After that, though, it was three years before A Feast for Crows came out, and five years later there’s still no definite release date for the fifth book, A Dance With Dragons. I was really into the card game until 4-5 years ago, and still have a few boxes of the cards sitting on top of my bookshelf. It looks like it’s changed a good bit since then, but if I can get friends back into it I’d be all for starting up again. I’ve got the board game too, but was never able to get anyone to give it a go. And I’ve spent tons of time on forums & sites like Westeros.org, reading up on various characters/history in the books & theorizing on possible things to come. It helps to whet the appetite, but at the end of the day I think it just makes me all the more anxious for the next book. Yes, I’m a geek. But I’m a geek with damn good taste.